Steven King is Professor of Medical Humanities and Economic History at the University of Leicester. He has published widely on the history of demography, poverty, and welfare. Some of his most recent publications include articles in the Journal of Family History and Annales HSS. Anne Winter is Lecturer and Francqui Research Professor in the history department of the Vrije Universiteit-Brussel. Her publications include Migrants and Urban Change: Newcomers to Antwerp, 1760-1860 (Pickering & Chatto, 2009) and Gated Communities? 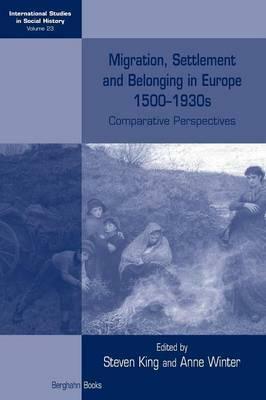 Regulating Migration in Early Modern Cities (with Bert De Munck, Ashgate, 2012).